Beyond the Box are a family business with over 20 years experience supporting and advancing IT in schools. From collaborative 1:1 and BYOD strategy to robust Wi-Fi, connectivity & infrastructure design, our expert team helps schools build successful, sustainable technology programs that engage students and promote teaching and learning. Beyond the Box have provided quality service, support and advice to St Therese’s for a number of years. As a family run business, they are immersed and actively participate in the community. With children educated locally in both primary and secondary Catholic schools, they have worked hard to understand the needs of families and schools. At Beyond the Box, we put teaching and learning first. Whilst we are a technology company, we have over 20 years experience working in schools, and understand what it takes to develop and run sustainable ICT programs with a deep integration to the curriculum & teaching and learning goals. We started out supplying Apple gear for schools in our local community, and now manage and deploy technology learning programs for some of the largest government, catholic and independent schools in Victoria and Beyond. Speak to us today about how our specialist education consultants can help your school transform your technology programs. The increasing number of devices being used in today’s classroom puts increasing strain on school networks. Most existing school networks are handicapped by limited bandwidth, weak signal, and the inability to handle enough devices for everyone in the classroom to connect to the network. Beyond the Box partner with best-in-class infrastructure and wireless providers to ensure that connectivity issues are a thing of the past. Our expert certified systems engineers have decades of experience deploying easy to manage, rock solid technology infrastructure to support both teaching and learning, and the business side of running a school. 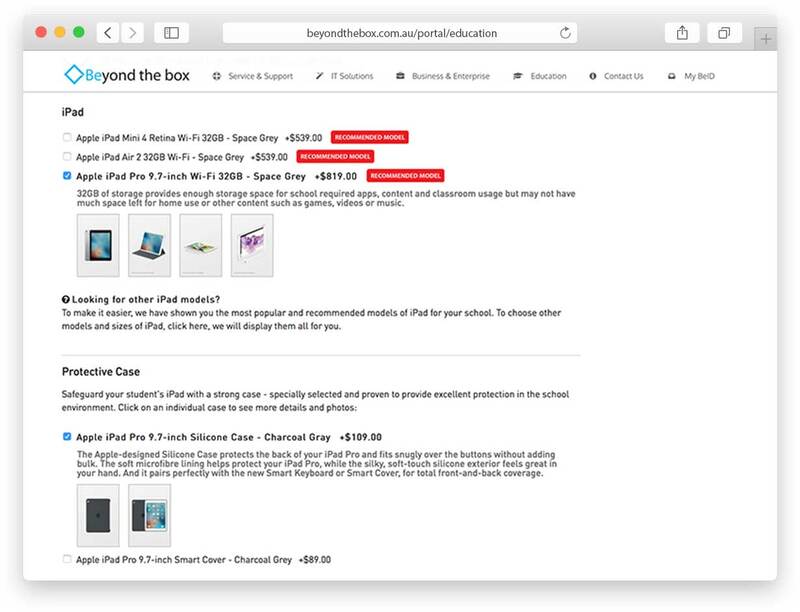 Beyond the Box are an Apple Authorised Education Reseller and provide competitive discounted education pricing on the entire range of Apple products. iPad, Mac & Apple TV, the best protective cases, storage trolleys, education accessories & much more. Beyond the Box are an Apple Authorised Service Provider and member of the Apple Consultants Network and are recognised by Apple for having expert staff who can assist schools and businesses with every part of their Apple experience; including service & repair. Our BeID Service & Repair portal provides schools with an easy way to submit, track, and manage servicing and repairs for their fleet of Apple devices. We arrange collection, service and return of your equipment, and our integrated system keeps you up to date at every step. Our experienced service team can interface and work directly with insurers, manage logistics and service part procurement, and our dedicated account managers are with you every step of the way. To find out more information about how we can help your school, contact us today! Our expert team of systems engineers can carry out on-site installations, repairs, upgrades and preventative maintenance on all of your IT equipment. With technology integrated so deeply into the modern teaching and learning experience, ensuring that your network is kept up and running is more important than ever before. Our team provides full managed IT solutions for schools of all shapes and sizes. From a scheduled technician visit each fortnight to a fully staffed IT department on-site, Beyond the Box has an education support option for you. Our BeID service and support portal allows school staff to easily submit issues and get immediate support. Scheduled visits from our expert engineers ensure that your school technology works smoothly and reliably. Beyond the Box can support your school on the journey to a successful & sustainable BYOD program. Our customisable Parent Purchasing portal allows schools to mandate a range of devices and accessories that are suitable for their BYOD program, while offering parents educational discounts and the convenience of local support and service via our Apple Authorised Service Centre. Our easy to use Parent Purchasing portal provides real-time order reporting to schools, and features flexible payment options for parents, such as lease-to-own and interest free financing. Beyond just a place to purchase equipment, our expert engineers partner with your school on best practice around BYOD and 1:1 programs. From infrastructure design to ensure everyone can get online, to MDM and content management to automate provision of student Apps and eBooks; our team can help. Are you ready to transform the technology experience for your school? At Beyond the Box, we understand and support quality cloud services in the modern classroom. We know that 1:1 technology programs only really hit their stride once they are coupled with a strong, full featured collaboration platform that opens up genuine collective learning oppurtunities and provides teachers with real-time insight into their students progress. 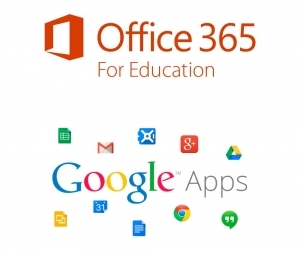 Our team has expertise in leveraging Microsoft OneNote, Office365 for Education & Google Apps to help schools deliver immersive teaching and learning programs. Speak to us today about how we can help your school. Looking for an easier way to distribute apps? Getting devices in the hands of students and staff is just the first step. When it comes to pushing the right apps, content and settings to users, Beyond the Box & Jamf are here to help. With Jamf Pro’s app management capabilities, simply designate who gets what software and when. 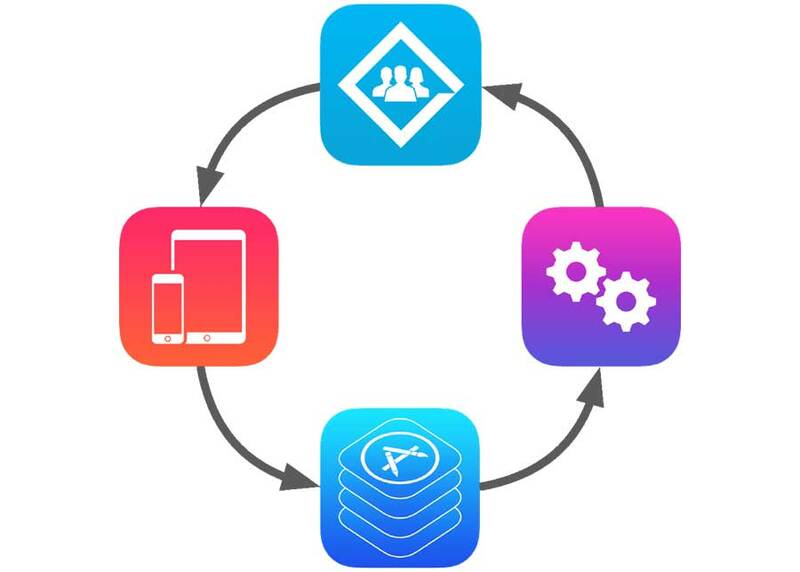 When customised for your school environment, you can remotely distribute pre-configured apps to Mac & iPad from the App Store or third-party vendors, without the need for an individual Apple ID. 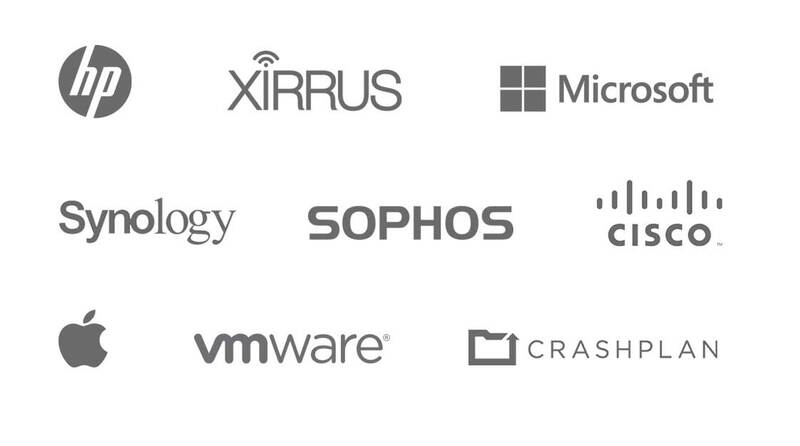 From fully managed & cloud hosted solutions to expert advice & training, our device and app management consultants can help you.